BRYAN EATON/Staff photo. River Valley Charter School Erin Cotton has been using the environmentally-friendly cleaner Force of Nature at home and was so impressed that the school is now using it. 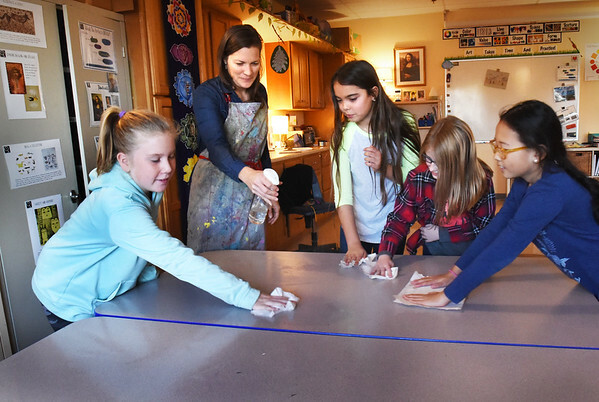 Helping to demonstrate in the art room, from left, Abby Sullivan, 10, Cotton, Rowan Cole, 10, Olivia Fisher, 10, and Phoebe Donegan, 11.